You’ve heard that SEO is needed to make your website visible in Google. You’ve took the time to research search engine optimization and you know that your website can benefit greatly from it. You may or may not have the time to do SEO yourself, so you choose to hire a SEO company or even a freelancer. Now that everything is in place, you’re ready to hit the top page of Google. Months go by and you see very little change. Your likely disappointed at the results and you question the SEO services. Your told SEO takes time but how long? How long does SEO really take? This is actually a question that we get on a daily basis. I’m sure all SEOs have been asked this at some point or another. There may not be a more difficult question to answer as a SEO. If you’re a legit SEO provider or firm, you know that this is a question that has to be answered carefully. Why? Truth be told, nobody knows how long it will actually take for you to get to the top page of Google. We can give you an estimate based on our experience but we can’t guarantee how long I will take to get there. Although a SEO can control certain aspects of where you rank, it is Google that has the final say. Think about this, what does everyone in the world want in terms of their online business? The answer, first page results or course. Everyone wants to be on the first page. The first thing you should come to terms with is the fact that nearly all websites on the top pages of search engines have paid their dues. Most of these websites have high domain ages and high authority. In 2014, trust and authority are extremely important to your SEO rankings as Google continues to improve their search results and take out low quality websites. Your SEO rankings will depend on the search engine optimization techniques used to rank your website. 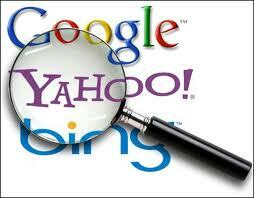 Your search engine rankings also depend on the current health of your website and online resources. A website with Google PageRank and authority links will usually rank quicker then a start-up website. When your starting a new website, it’s going to take time to rank your website and build your business. It’s going to take time to build authority and trust in your respected niche. You have to be patient, especially with start-up websites. Just because you have an established website doesn’t mean that the SEO process is quicker or easier. In some cases, it can be harder. We’ve seen many websites struggle lately due to low quality links. With a start-up website, you have control over link building and development. With established websites, you could have an entire mess of bad links causing your low rankings. There’s a lot of different elements that control your rankings, both on-site and off-site. The point, there’s no specific guidelines that determine how long it will take your website to rank on the first page. Everyone determines SEO success differently. It’s important to note that there’s a lot of outside factors that can determine your rankings. You can do everything right according to Google but in the end, Google controls your rankings. SEO services are usually not cheap, your ROI will likely be high. It’s normal to worry if you’re not seeing results after some time but you have to be patient. It takes a good 6 months to see your SEO results starting to trickle in. By 12 months, you should start to see good results. By 18 months, you should have your keywords in position to start pushing harder to rank keywords closer to the first page. This is our estimates based on our past experience. Every website has different needs in terms of SEO. Some keywords are harder to rank and take more time and effort to get to the top page of Google. Local keywords are often easier to rank for because there’s usually less competition. There’s many factors that control rankings and these rankings will differ from one client to another. Keyword research is a huge element of search engine optimization. If you don’t chose the right keywords, your website can struggle with search engine rankings and traffic. If you don’t have high quality links to your website, it will effect your search engine rankings. If your not properly optimizing your web pages and content, it will effect your rankings. If you feel that your website is not benefiting from SEO, these are a few of the more common reasons that keep you from ranking. You should plan for long-term SEO no matter what situation or current rankings that you may have. Search engine optimization takes time to develop and come full circle. With Google’s recent changes, ranking quickly is over. Be careful using SEO providers that promise quick results. If your website was penalized, what would it cost to your business? We’ve had a few clients come in with penalties and nearly all of them were promised fast results. Sure, they ranked high quick but it killed their bottom line. You have to be careful when your hire SEO services. SEO firms commonly come across clients that are in desperate need to increase their sales fast and quick. These are often the type of people that don’t understand how SEO works at this point and time. SEO is always changing as Google adds updates and algorithms. Client and SEO relationships are important and your client/SEO relationship can determine the success of your efforts. Always make sure that your clients know that SEO takes time. Don’t make promises that you can’t deliver, give your best estimate and leave it at that. It also takes time to develop trust and authority. You can’t expect to come in and do 2 months of SEO work and outrank a top-tier website that has been online for a decade. It’s not going to happen. You should concentrate on building your trust and authority with Google. One way that you can do this is by following Google policy and guidelines. Write helpful, informative content as this can open the doors for link opportunities. Your goal should be high quality links from authority websites, which can give your SEO rankings a big boost. I’ve been doing SEO for over 7 years now and I’m still learning about SEO. You can never learn enough. Plus, SEO is always changing. Make sure you keep up with important updates and new search engine optimization techniques that are bringing results. Make sure you know the main ranking factors for SEO. Take the time to learn search engine optimization. Every webmaster should have a basic understanding of SEO anyway. Make sure your client knows SEO, help them learn what to look for so they can relate to you. If you get a proposal from a potential client that wants quick results in a month, turn it down, you know better. Try choosing clients that understand how the SEO process works. No matter what new SEO techniques you use, SEO will always take time. Don’t get discouraged if you don’t see results right away, it does take time. You do need to make sure that the right SEO techniques are being used. Make sure your on-site SEO score is high. Make a checklist of SEO techniques that need done. Always record your efforts, this will give you insight on what is working for your website and what is not. The more search engine optimization you know, the better off you’ll be.